Sold Out! Harlem Wizards vs. Spartan All-Stars – 11/3! 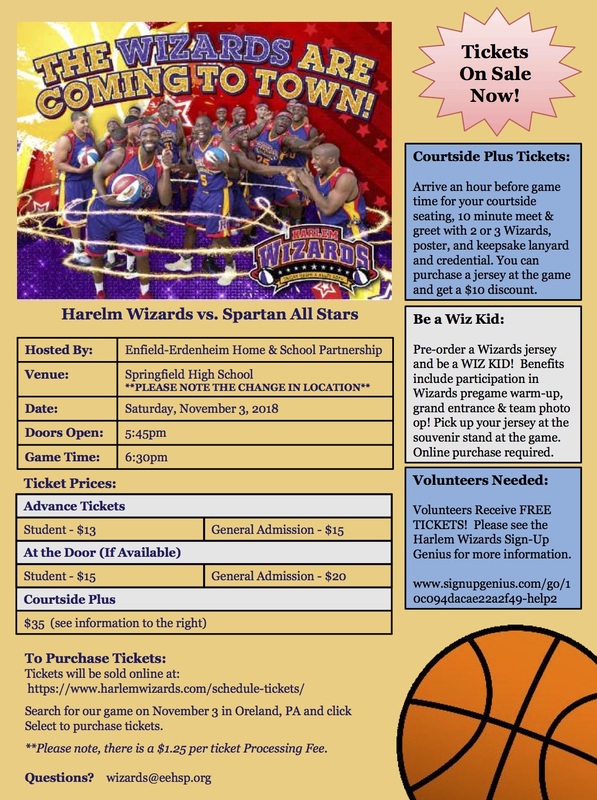 The EEHSP presents the world-famous Harlem Wizards as they take on the Spartan All Stars on Saturday, November 3, 2018 at ***Springfield High School** for an evening of high-flying fun and fundraising! Volunteers Needed: Volunteers Receive FREE TICKETS! Please use the Harlem Wizards SignUpGenius for more information.